This is an exciting time to be a part of the life and ministry of Baptist Temple Church in the Heights! We believe that God is on mission to renew people’s lives here in Houston and around the world, and we seek join God on that mission. 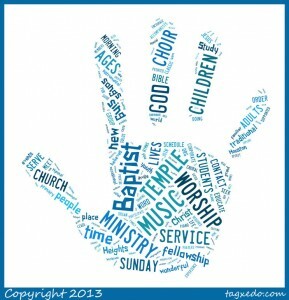 You will find that there is a meaningful place of service for all ages at Baptist Temple. We invite you to explore all that God is doing in our lives together through the ministry links on this page. Our primary time for corporate worship is Sunday morning at 11:00 am. This traditional worship service includes familiar and new hymns, choral anthems, and instrumental and vocal solos, accompanied by organ and piano; readings of scripture, prayers, and a meaningful message from our Pastor. The Sanctuary Choir is open to all adults, ages 18 and up, and to students by invitation. No audition is required, but experience singing in a choir is helpful. Those interested in singing should contact Director of Music, Edward Crowell – eddie@baptisttemple.org. Sanctuary Choir rehearsals are Wednesdays at 7:00 p.m., and Sundays at 10:30 a.m. The Choir take a Summer Sabbatical, and presents seasonal concerts in addition to weekly worship leadership. At Baptist Temple’s student ministry we seek to connect students to God, one another, and Christian adults in order to experience God centered lives within a community of faith. We also exist to share with our city and world the wonderful news of God’s interaction with humanity through Jesus Christ. We invite you to be a part of what God is doing in and through the lives of students and adults here at Baptist Temple Church in the Heights. Baptist Temple offers a full range of opportunities for children such as Bible study, music, missions, Summer Day camp, and other special events. Children are a vital part of Baptist Temple’s life, not only in the classroom but also as participants and leaders in worship. Childcare is provided for ages birth through 3 years is complimentary and is available without reservation every Sunday from 9:00 a.m. to 12:00 p.m.
At Baptist Temple, we hope to lay foundations for a child to accept Jesus Christ as Savior at the time when God’s Spirit leads him or her to do so and to prepare children for lives of service. The Something New Group is for semi- and fully-retired adults. Look forward to day trips, lunches, tours, and great fellowship – all at little or no cost. This group is always looking for “something new” to inspire, educate, or celebrate together. For more information, contact Lynn Morgan at somethingnew@baptisttemple.org.